With the series tied at 2-2, we can simply analyze that the home court advantage has been the deciding factor through the first four games of the Eastern Conference Finals. 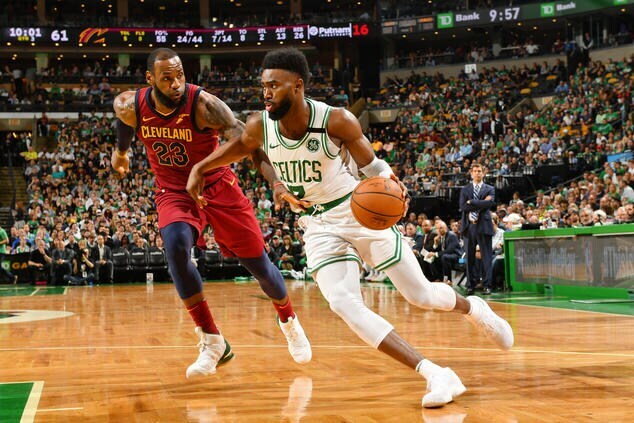 Right now, the Cleveland Cavaliers are feeling great about themselves after getting two consecutive emphatic victories at the Quicken Loans Arena but keep in mind that the two of the final three games of the series are scheduled to take place inside the TD Garden, where the Boston Celtics are undefeated this playoffs. Coach Brad Stevens and the Celtics are expected to make big adjustments after their back-to-back road trips losses in the hands of LeBron James and the Cavs that led to 2-2 of a seven games series. About a week ago, we saw how Boston dominated the Cavs in the first two games, winning 108-83 in Game 1 and logged a 107-94 victory during Game 2, but their next two away from their home had an opposite results which serves as a prime example that this playoff series is not going to be easy. It cannot be denied that the Cavs were completely a different team at the Quicken Loans Arena. They played outstanding with heart, with confidence and with effectiveness at both ends of the court. Everyone contributed in Game 3 and 4. Of course, credit to the leadership of LeBron through the entire series.